What does the Carbon Pollution Accountability Act do? As a result of climate change, our region can expect increased wildfires, extreme weather and heat waves, which will have a disproportionate impact on people of color and people with lower incomes. Since our last post, we have advocated with leaders committed to economic and racial justice to ensure tangible benefits for people of color and people with lower incomes from the Governor’s Carbon Pollution Accountability Act (CPAA). Below, we break down exactly what the CPAA does and what it means for people with low-incomes and people of color. First – the bill sets a limit on carbon pollution and targets big polluters in Washington State. In order to meet this limit, industries that pollute more than twenty-five thousand metric tons of carbon dioxide or more per year will bid on emission “allowances”. The amount of allowances a facility may have per auction will be capped, and the prices of the allowances will gradually increase every year until 2026. The bill prohibits free allowances ensuring that every big polluter participates in an effort to reduce our regions carbon pollution. What’s the specific benefit for communities of color and people with lower incomes? In addition to reducing carbon pollution, the state will generate $1 billion in revenue from these auctions, which will be used to create clean energy jobs, invest in education, fund more affordable housing, and fund working families tax rebate. Most importantly for local communities most impacted by climate change, the bill includes a provision for “hotspot” mapping that will show how the disproportional impacts of environmental degradation intersects with communities of color and communities with lower incomes. Additionally, the CPAA creates an Economic Justice and Environmental Equity advisory committee, which allows leaders who are the most impacted by pollution to monitor the CPAA and advise the Department of Ecology on how to spend revenue, creating a pathway for the solutions to climate change to be informed by and benefit the communities most impacted. A City Council Committee just recommended a promising new policy approach to Seattle’s housing crisis, authored by Councilmember Mike O’Brien. Called a “linkage fee,” the policy establishes a reasonable city-wide fee on construction of new buildings that links job growth associated with development to increased demand for affordable housing. Many cities in the U.S. have adopted linkage fees for affordable housing and multiple studies show such a fee can work in Seattle. Listening to critics, you would think that a linkage fee is the scariest thing since Nightmare on Elm Street, and will frighten away the timid investors who have been paying above top dollar for property in Seattle. The policy was voted out of the Planning, Land Use and Sustainability Committee yesterday and is headed to Council next week. However, it’s only a resolution that directs staff to write the final ordinance for adoption next Spring, which is two seasons away. So, we though it ‘twas the season for a little debunking of scare tactics being employed by critics of anything asking developers to pay their fair share. Developers are being unfairly demonized. They pay taxes just like everyone else. The best part about the linkage fee is that that the City must demonstrate – for both legal and policy reasons – a causal connection between new job growth associated with a project and the need for affordable housing that it creates. In other words, the fee is used to mitigate an impact that can be “linked” back to the developer, hence the term linkage fee. The policy calls on developers to pay their fair share towards the public bill of creating adequate affordable housing for our growing low- and moderate-wage workforce. Yes, developers pay taxes like everyone else, but their impact on affordable housing is basically an “externality” – a cost they don’t have to bear in making a profit. This is also why it is a mitigation fee, and not an illegal tax. A linkage fee will result in less affordable housing being built, not more. This myth is premised on a simplistic explanation of housing markets and why they contract or expand. Even amidst one of the biggest real estate expansions in Seattle history, for-profit developers are simply not building housing affordable to low-wage workers (60% median income and below). Why build at the lower end when so much profit is available at the higher end? How can linkage fees result in less affordable housing when private, unsubsidized production is already near zero? Furthermore, fees and regulations have a marginal effect on housing markets – market swings drive real change in supply and demand. David Paul Rosen and Associates conducted a study over a twenty year period in California to determine the impact of inclusionary housing programs (which, like linkage fees, require developers to contribute to affordable supply) on housing production. In larger cities, housing production increased, sometimes dramatically, after the passage of similar ordinances. The report also found that in no case did the adoption of an inclusionary housing program slow housing production. Based on the City’s own economic analysis, Councilmember Mike O’Brien has designed the proposed linkage fee so that developers will still make significant returns on equity. For example, a tiered fee model is built into the resolution so that slower-growth areas will be subject to a lower fee. Also, the fee level will be reassessed regularly and adjusted for market conditions. Over-regulation is strangling housing supply. If we got rid of regulations, the private market could build our way out of the crisis. This “invisible hand” argument assumes that developers and investors would be willing to build in the lower-end of the housing market if only costs were cheaper. However, housing prices in strong markets are mostly determined by high-end demand. Most new market rate buildings target well-off urban professionals, such as Amazon, Google and bio-tech workers, because those consumers are willing and able to pay top dollar for housing. As a result, Seattle’s overall market is skyrocketing, with average rent increases of 33% just since 2010. As long as Seattle continues to attract and sustain high-paid professionals, developers and investors will continue rational, profit-maximizing decisions to cater to their housing needs. Moreover, developers will never be able to build enough new supply to a point where prices will meaningfully drop. Even if they could build a fictional, unlimited supply of housing, other counter-forces can slow investment just as lower-end housing becomes interesting to investors. For example, interest rates often rise to cool hot markets, making it more expensive for developers to finance new construction. Production of housing is just as likely to slow for reasons unrelated to local regulations and prices will remain high. As we have most recently seen with the massive housing market crash, a lack of regulation is often the problem, not more regulation. Regulation can act as a buffer to unpredictable and imbalanced markets. In fact, regulatory requirements to protect the environment, workers and consumers have often led to an increase in economic activity. With a reasonable amount of funds to build affordable housing, the City can provide assistance to those negatively impacted by the swings of financial markets and the gross inequality they create. Even in San Francisco. If you increase costs for developers, they will just pass that onto renters. Suppose there are two developers building identical buildings with the same market-rate rents. All costs are equal, but one developer took a higher interest loan than the other. Will the higher interest loan developer pass the cost onto renters? If she did, her rents would be higher and tenants would go to the second developer. The term “market rent” is precise – it represents the most a landlord/developer can charge for a given product. If a landlord could charge more in a given market, they already would – a City linkage fee will not change market rents or housing prices. Further, over time, the cost of the regulation is largely absorbed into the price of land, not the cost of development on top of the land. When cities impose new requirements on buildings – such as safety, health or environmental regulation – it puts a damper on the increases in commercial land value. The property owner does end up absorbing the cost; however, landowners in Seattle have been enjoying exponential growth in value and benefit from business expansion, population growth and massive public investment in infrastructure. Linkage fees are a tax on density. Developers now have less incentive to build up, resulting in lower-density growth. Currently, developers can gain bonus density to build higher and bigger through the City’s multiple incentive zoning programs. The linkage fee does not take away any of these incentives – developers would be allowed to continue to access the bonus density. Also, existing incentive zoning ordinances will be amended with a provision allowing for the payment of the linkage fee as satisfaction of the incentive zoning program. Additionally, the relative cost of a linkage fee reduces as developers build to a greater density. Here’s why: shorter buildings (under 85ft) are built primarily with wood. Above that, much more expensive materials are used – concrete and steel. For example, say that a developer is choosing between a seven story, wood-frame residential project and a 24 story concrete and steel structure in South Lake Union. The linkage fee per square foot would be the same for both buildings. As the developer builds higher, the fee decreases as a proportion of total construction costs per square foot. In other words, the linkage fee becomes relatively cheaper the higher you build. While I am on the subject of the environment, the linkage fee will actually help reduce our carbon footprint by preventing displacement of low-income households from the city to the suburbs. Developers did not have time to weigh in. We should slow down. Developers have not been left out of the discussion or debate. Consultants have been studying how to improve on the City’s Incentive Zoning policy for an entire year with many occasions for public review and discussion. The economic and financial feasibility assumptions forming the basis for the linkage fee have been informed by developers in multiple venues. More importantly, growth is happening now and we need more affordable housing now. There is no time to wait. City Council should adopt the strongest linkage fee feasible and the fastest timeline possible. On Monday, I made the case that climate change is one of the biggest threats to social, economic and racial equity. But, how, specifically could climate change impact Seattle? And what does this mean for low-income people and people of color? As a coastal city, Seattle will be directly affected by climate change. We can expect more extreme heat in the summer, more rain in the winter and the possibility of severe storms. But even more startling, by 2100, just 85 years from now, scientists predict sea levels will rise in Elliott Bay by 6 to 50 inches. If nothing is done to mitigate climate change, land area with substantial value will be lost. This includes parts of downtown Seattle, parts of West Seattle, South Park, Georgetown and the Port of Seattle. Georgetown and South Park are two neighborhoods where the population is disproportionately people of color and lower-income families. In addition, local, good-paying maritime jobs and our food sources are at risk as port facilities, seafood beds and fishing fleets are threatened. Despite these impacts, scientists say our region will fare much better than many other regions across the country. In fact, climatologists predict that our region will be one of the ideal places to move to avoid the extreme weather and unbearable heat we can expect across the country. Clifford Mass predicts that the Pacific Northwest will become a “potential climate refuge”. If this is true, our region must not only prepare for the impacts of climate change, but also for population growth over the next 80 to 100 years. But even before we see an influx of new residents as a result of climate change – Seattle is already grappling with a dramatic growth of higher-income earning households moving to the city, resulting in a shortage of apartments and skyrocketing rents. On the supply side, developers are largely building new housing for the upper end of the rental market, leaving a massive gap at the middle and bottom. As a result, Seattle is already seeing displacement of communities of color – especially immigrant and African American communities – to the suburbs. This displacement is occurring just as Seattle has emerged as one of the nation’s most sustainable cities. Seattle is a leader on curbing carbon emissions and preparing for the worst of climate change affects. We’ve launched large-scale energy efficiency building retrofits, implemented sustainable building practices, invested in light rail and streetcars, expanded bikeways, planned for transit oriented development, piloted urban farming and food forests and crafted an ambitious Climate Action Plan. Which leads us to wonder, are we investing public resources into a climate-resilient city just in time for communities of color to be forced out? This future is possible, but not inevitable. If policy makers, environmentalists and equity advocates plan together to adapt our city for both growth and climate change, we can build a green and brown city, where all families can live and prosper. What is a Linkage Fee and Why Do We Need it Now? 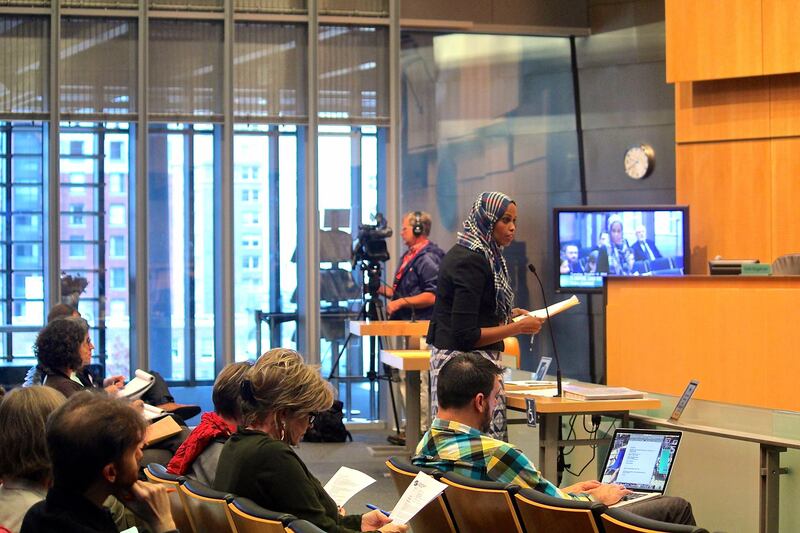 Last week, Councilmember Mike O’Brien introduced a proposal to strengthen Seattle’s incentive zoning (IZ) program: a “linkage fee” rather than recommend tweaks to the existing IZ policy. If Seattle is serious about not becoming a city only for the elite and serious about carbon reduction, the linkage fee proposal is a no-brainer. We have been long critical of the City’s IZ program. Under the current IZ policy, developers built affordable units or paid a reasonable fee to the City in exchange for permission to build to a greater density. Because developers volunteer to participate, the affordable housing requirements only kick in for a portion of a new building and applies to only a few neighborhoods that have undergone upzoning, Seattle’s program is considerably weaker than those in other cities. To date, the IZ program has only produced an estimated 714 units since 2001. Unlike IZ, a linkage fee policy requires all new residential office or commercial development above a certain size to contribute to an affordable housing fund. The policy, as adopted in several major cities in the U.S., is premised on a link between new development and a subsequent increase in demand for low-income housing. More Affordable Housing: a linkage fee allows the City to ensure production of far more units on a faster timeline than IZ. Fair to Developers: linkage fee is fair to developers because it distributes the responsibility of contributing towards affordable housing evenly and removes uncertainty about costs of projects. Fair to Individual Taxpayers: linkage fee is fair to taxpayers who already generously tax themselves for the housing levy and are investing billions in new infrastructure that benefits developers. Seattle taxpayers have paid their fair share since 1981. Through the Housing Levy, they have paid for 58% of all affordable housing stock to date. Private developers, through the incentive zoning program, have contributed 11%. Also, renters will not absorb the cost of these new fees because Econ 101 dictates that developers would charge more now if they could. Encourages Urban Sustainability: linkage fee increases overall urban sustainability by making the most of public transit investment and is not contingent on density. So, why do we need to pass this fee now? There are many reasons developers should pay their fair share of affordable housing, the most important of which is absolute necessity. Growth is happening now. People are being displaced now, and 40% of Seattle will not be able to live here if we do not create and preserve affordability now. We need more money to build and preserve more housing now, and into the future. We have written about the housing crisis in Seattle. Affordable housing is not available for low income people and families. It is well-documented that low-income people and families mainly consist of communities of color, immigrants, refugees and single mothers. Demographic changes in Seattle and South King County indicate that people of color have been displaced from Seattle as rents have risen over the past ten years. Rents have increased even more dramatically in the past year, and Seattle is currently the fastest growing city in the country. In order for Seattle to walk a path of justice, we need more affordable housing now. A linkage fee is necessary to prevent displacement, is good for the environment, and good for Seattle. It is only fair that developers, who profit from our infrastructure investments, pay their share for affordable housing. Stand with Puget Sound Sage and the Growing Together Coalition and urge City Council to pass a linkage fee in October! Click here to take action now. Climate change is one of the biggest threats to social, economic and racial equity. Our jobs, our health, and the communities where we live are threatened by climate change, and we can expect more severe heat waves, flooding, extreme weather events, food scarcity, and the increased spread of disease to have the most direct impact on low-income communities and people of color. Although it is often overlooked, addressing environmental inequality is an essential component to moving strong policies that make our environment healthier for everyone. Why? In part it’s about doing what’s right, but it’s also necessary. Research, by environmental justice organization Green for All, shows that people of color are more likely to care deeply about the environment. As in the rest of the nation, the number of people of color living in Washington State is growing. Census data shows that population growth rates among black, Latino, and API communities outpaces the growth of white communities, and the trend is predicted to continue. As the environmental movement considers strong policies for healthier people and a healthier planet, it must craft policies that serve the interests of the people most impacted, and the people whose voting base is growing. Even though there is a growing population of people of color in Washington, who are likely to support environmental sustainability, a recent report from Green 2.0, finds that organizations at the forefront of the environmental movement are ill-equipped to engage and empower people of color in their movement. Green 2.0 finds environmental government agencies, foundations, and NGOs are often guilty of unconscious bias, apathy in addressing diversity, and of inadvertently maintaining a “green ceiling” such that the percentage of people of color employees has not grown in decades. In this context, many of Washington’s environmental organizations are searching for ways reverse the trend found by Green 2.0 and better engage with communities of color. One key element to better engage with communities of color is to incorporate social justice into their work. Re-think communications: As long-time environmental activist Gail Swanson says: “You can’t enlist all humanity if you only speak to half of the population.” Communications experts in environmental organizations know they have to change the way they talk about the environment to be more relevant to people’s every-day lives, and many have taken important steps to talk about health, safety and jobs. However, communications is just one step to increasing engagement with communities of color, and will often come naturally if an organization applies a social justice lens to their work. Train staff to apply a critical racial lens: Trainings that teach staff to understand and address racial inequities are important, but it’s even more crucial for staff to learn how to and practice applying this awareness to their work. How does this policy affect communities of color or low income communities? What barriers inhibit communities of color from fully engaging in this program? Has my organization sought out and included people of color in crafting this program or policy? The process of asking and seeking answers to these questions can open pathways to deep collaborations with people of color and community based organizations. Actively seek out the expertise of community-based organizations: No need to reinvent the wheel! Fortunately for environmental organizations, there are people who have been doing incredible environmental justice work in communities of color for years. The mainstream environmental community can and should seek them out and work to support their programs and policy agendas. They should incorporate their input in policy design with the understanding that the policy’s success depends on local expertise of the problem and its possible solutions. Many environmental groups have already begun doing this work, and we encourage strong and socially just partnerships. Promote and hire people of color into management positions: The Green 2.0 report finds that the few people of color employed by the environmental organizations and agencies studied tend not to hold leadership positions, with the exception of the “diversity manager” role. Even genuine attempts to include people of color in the environmental movement, may be misguided nonetheless. Ensuring people of color have institutional power in environmental organizations is critical for diversifying the environmental movement. This means recruiting people of color to the board and to management-level positions, which means they must expand beyond established networks. When people in charge of hiring are from the communities their organization hopes to engage, more people from these communities are more likely to join the team.